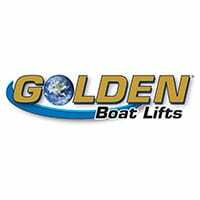 Golden Boat Lifts manufactures lifts for powerboats, sailboats, personal watercraft, yachts and low-profile vessels. The company has been in business for more than 35 years, and in 2015 decided it was time to update its corporate video to visually show why they have been so successful for so long. As with many of our projects at Spiro & Associates, this client came to us via a referral from another business in the marine industry that we were working with on a corporate video. Golden Boat Lifts wanted a video to showcase their brand, products and expertise in manufacturing, delivering, installing and servicing their products. Working with one of our videographer partner businesses, the Agency created an extended video that shows Golden’s comprehensive capabilities and product line. The video will not only be posted to their YouTube page, but is also available to its dealers to show to their prospects and existing clients. 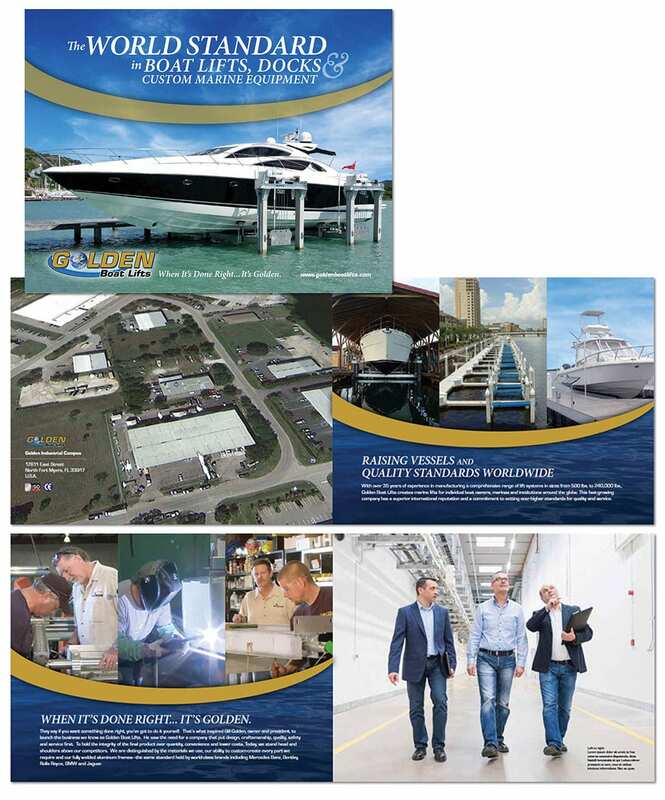 Golden Boat Lifts also uses the video to reach out to prospects. As of early 2016, we are in the process of taking shorter clips from the video to use in e-blasts and for other digital marketing. The Agency also developed a new look and feel for the company’s corporate brochure, as well as provided public relations activities that resulted in a full-page feature article in Business Observer.